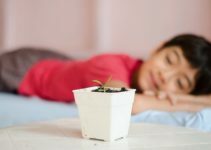 Moving home can be stressful for children, but it can also have a significant effect on adults sleep too. A survey carried out by Ergoflex investigated the impact that moving house had on their sleep habits. The results found that short term sleep loss was substantial with 74% of the 2,531 survey participants reporting that they experienced sleep loss as a result of moving. Further analysis revealed that of those people who suffered from sleep loss, the average amount of sleep lost per night was 3 hours and 59 minutes with this lasting for 11 consecutive days. This equates to a total of almost 45 hours of sleep deprivation. When you’re aware of the severe effects of chronic sleep deprivation, it’s not alarming that 49% of those surveyed stated that they were against moving again because of the whole experience. To summarise the results the top five issues people encountered when moving home, there were several that can affect your sleep. Why can you lose sleep when you move home? Stress was recorded as the biggest trigger for sleep loss in the survey which makes sense because moving home can bring a vast amount of pressure. There is so much to think about when moving from your possessions, costs, timings and children. This stress means that when it’s time to sleep it’s difficult to fully relax as you’re still worried about a multitude of things including all the tasks that you need to complete the next day. This is compounded if you have a full-time job to wake up for in the morning which can then further restrict the amount of sleep you get each night. As humans, we best survive in setting that we’re familiar with. You’ve probably experienced a similar situation when you go on holiday and sleep in a hotel room, even when you eventually get to sleep it still doesn’t feel the same as your bed back home that you sleep in every night. When you move home, you’re moving into unfamiliar settings that may have only walked around several times and more likely than not you’ve never slept there before. This can make it difficult to fall asleep for the first few weeks, and even the smallest things can stop you from falling asleep such as a street light outside of your room disturbing you. When a person moves into a new home, this can often be accompanied by moving in with a partner for the first time. This can be a unique experience with this person and can take some time to adapt to their habits, some of which you wouldn’t have previously been aware of. Ergoflex also delivered a poll in 2013 to discover the effects and habits of bed sharing etiquette. The results revealed that the top issues between couples were dirty sheets, too much cuddling and of course snoring. These issues were discovered once they started sharing a bed and when you combine this with the stress of moving home, this can lead to an increase in sleep deprivation. People who move house often see this as an opportunity to get new furniture and items including a new mattress. 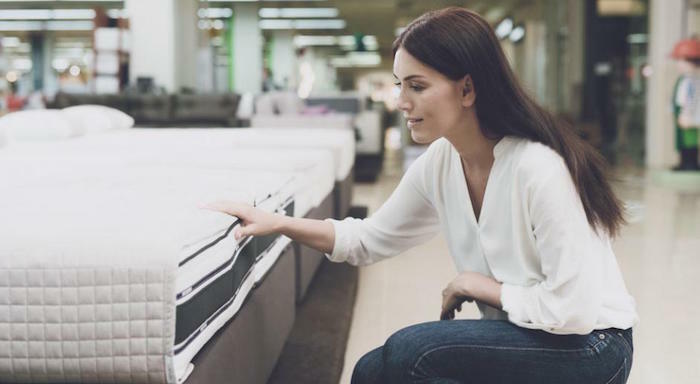 Although buying a new mattress is great for your body due to the higher levels of support provided, it can take some time to get used to the new feel which can take a few nights. This is compounded by the fact that you’re sleeping in a new room and home which can increase the time it takes for you to fall asleep. The time it takes to get used to a new mattress will vary from person to person ranging from instantly to a couple of weeks. How to avoid losing sleep? Losing sleep when you move home isn’t inevitable, and while you may not be able to transition seamlessly into your new home, there are many ways you can cause less damage to your sleep. It’s natural to want to sleep in your new mattress for the first time when you move into your new home but being in a new surrounding a mattress at the same time can compound the effects of sleep deprivation. Ideally, you should use your new mattress in your existing home, so you can get used to a how it feels, then by the time you move home, you’ll find it easier to fall asleep in your new environment as you would have already broken the surface in. It’s as simple as just buying your mattress a few weeks before you plan to move into your new home. When you move house, many of the rooms in your home will be a work in progress for many weeks with boxes full of possessions that you haven’t had the opportunity to unpack yet. Your bedroom should be one of the first rooms that you unpack first and make it as homely as possible. Creating a comfortable bedroom environment will make it easier to fall asleep which could be small things such as photos or furnishings from your old home. The goal here is to make your room as cosy as possible. If you do need to decorate then aim to do this as early as possible because the smell of paint hinders your ability to fall asleep. If you’re struggling to fall asleep within thirty minutes, then you may need some assistance to help you along the way. This can range from different types of food to sleep pillow sprays the key here is to relax your body and take your mind off day to day life so that you can fall asleep. The madness of moving home is likely to naturally alter your normal sleeping routine because of all the tasks that you need to squeeze into your day. You should try to stay as close to your sleeping pattern as possible which includes both your bedtime and wake time. This will help to keep your body clock functioning efficiently. 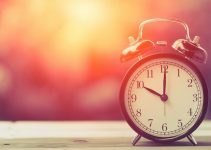 Some people prefer to squeeze all their house moving tasks into a short period and then fix their sleep routine after, which is an option, but it can be challenging to re-align your circadian rhythm. It’s essential that you don’t sleep in on moving day and schedule it for as early as possible. It’s common to underestimate how long it takes so if you start in the afternoon you may still be awake well into the night. Starting early will ensure that your sleeping pattern is affected as little as possible. If your house move is the first time you and your partner will be living together, then it’d be best to have a trial run prior. This can be in either of your homes if possible and gives you a chance to get used to sharing and living in the same space. This can prepare you for their habits, so there will be fewer surprises when you make the permanent move. This will reduce the number of potential problems allowing you to have a more restful sleep. For example, if you share a bed before the move and discover that they’re disturbing you by spreading themselves too much when they sleep, then it may be wise buy a larger sized bed for the new home, so you both have enough space. Small things like this will improve the quality of your sleep. Bringing the same pillow that you use in your old house can help to transition you into your new home. The familiar smell, feel and squish of the pillow can trick your brain into thinking that you’re still in your old home to make it easier to fall asleep. A common issue that interferes with sleep is the unfamiliar noises in your new home, but luckily there are many remedies for this. You should check that your new home has double glazing which will reduce the amount of unwanted noise entering your bedroom. A pair of earplugs could put the finishing touches on removing all sound. Light can be just as disturbing caused by passing cars or street lights but can be easily reduced by either installing blackout curtains or using a sleep mask. It’s important to remember that the majority of people find moving home stressful, so you aren’t alone. If your sleeping routine does get off track, then you need to stay calm and remember that it’s only temporary and in a few weeks it's back to normal. The more you worry about it, the harder it will be to sleep, and the cycle will continue.